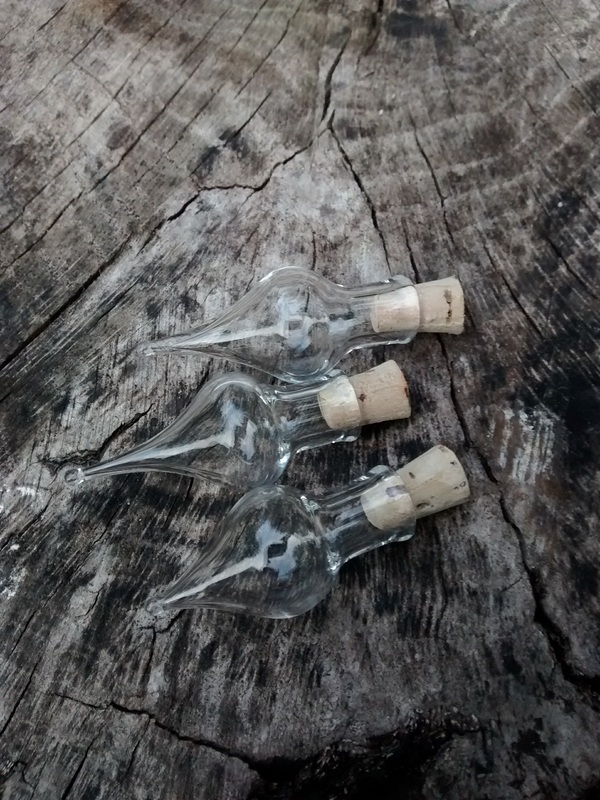 Think love notes, glitters, cosmetics, Holy water, oils, ashes and more! 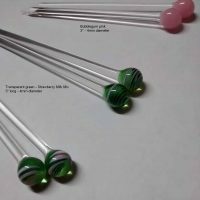 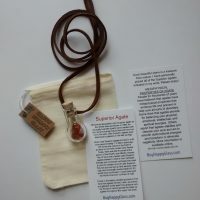 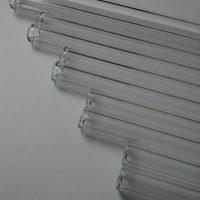 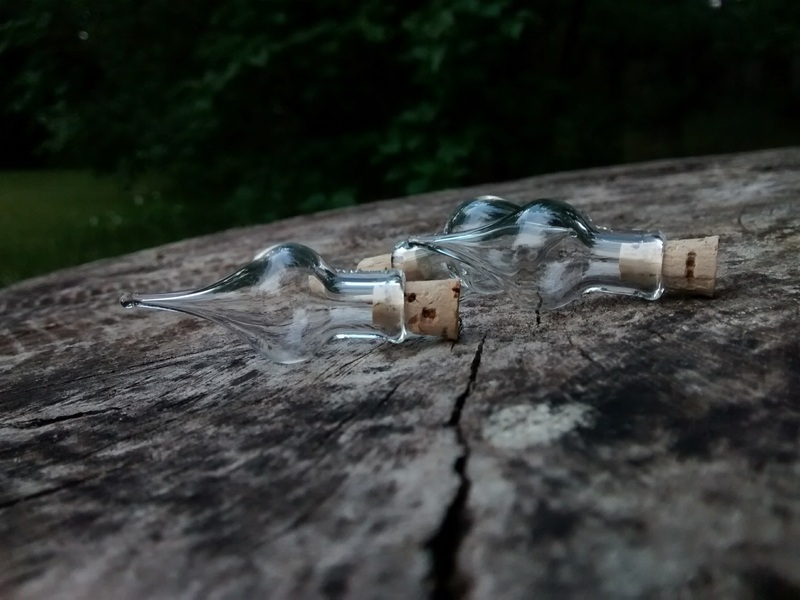 Tear shaped, blown glass vials without handles are perfect for wire wrapping projects. 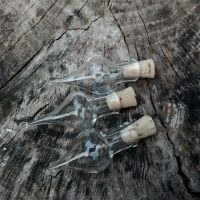 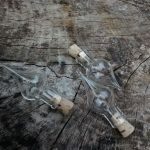 Mini blown glass wine bottles are awesome for your own homemade cosmetic serums, essential oil blends, steampunk projects, wedding favors and an endless array of miniature keepsakes! 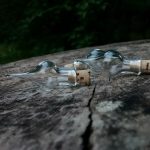 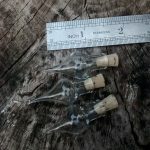 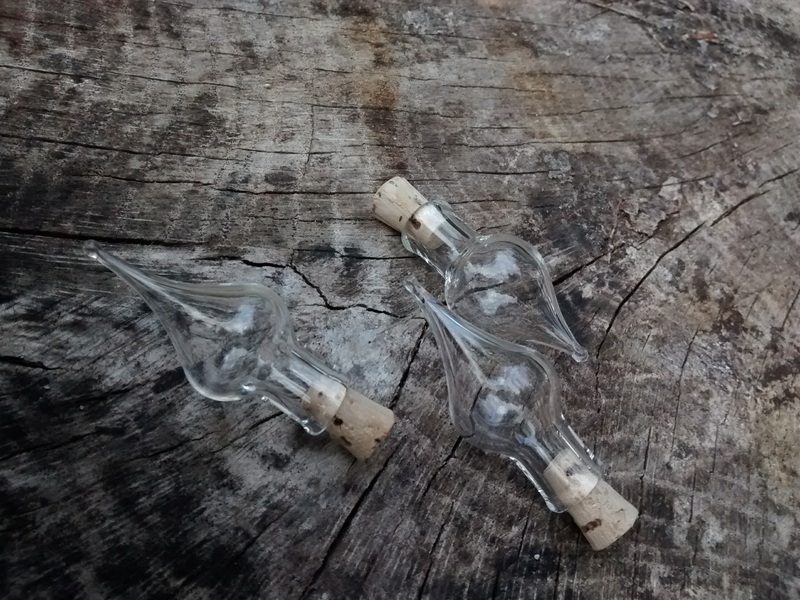 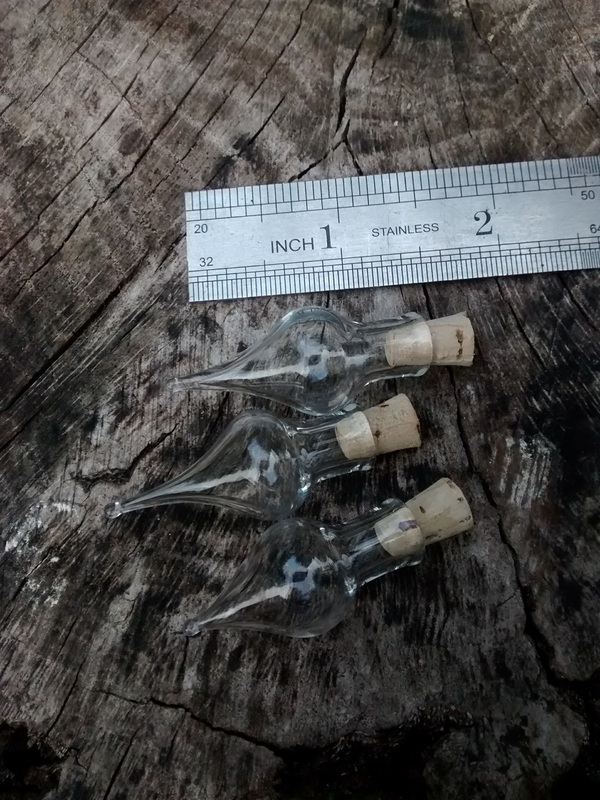 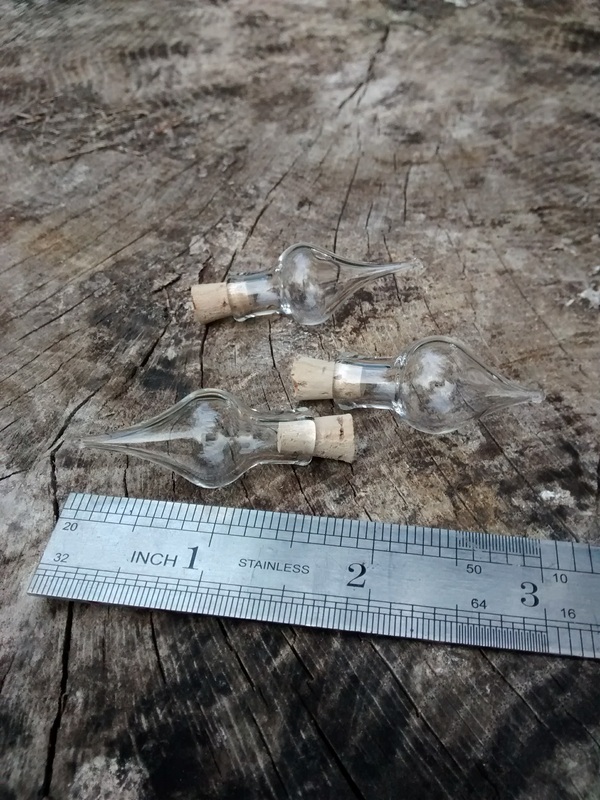 3 (Three) Miniature Hand Blown Tear Shaped Micro Bottles with corks. 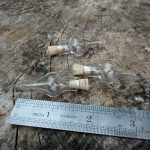 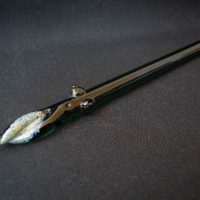 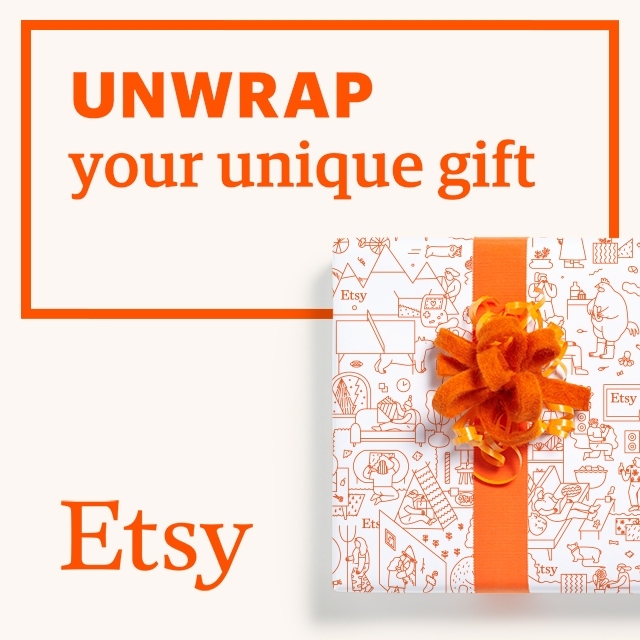 approx 1 3/4″ each – accessories and props not included.